Albeit many clothes weren’t featured, when promotional imagery shot by Steven Meisel was released to announce Clare Waight Keller’s debut at Givenchy, there were strong indications as to what it would look like. Sensuality resorted, a defined femininity. 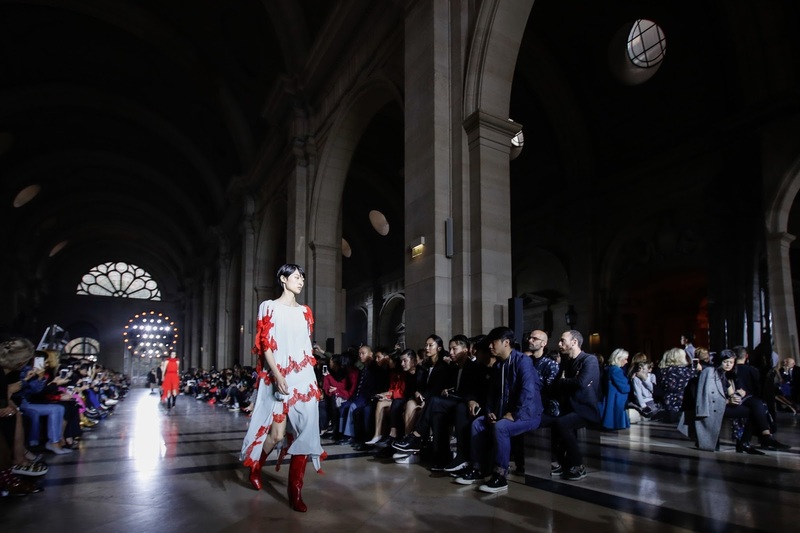 Interestingly, for the first time in her career she would be tackling haute couture (to be presented in January and July) and menswear (presented alongside the Spring 2018 womenswear, yesterday morning at the Palais de Justice de Paris). 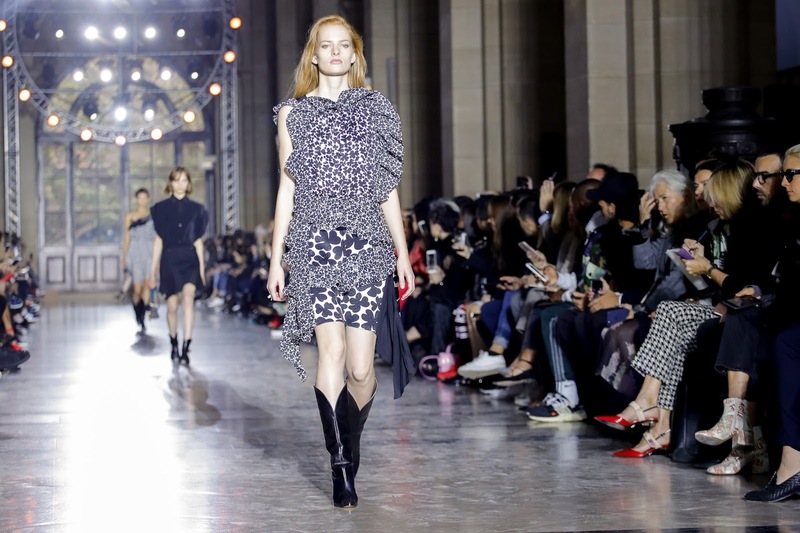 Waight Keller is a revered figure in the industry and her appointment at Givenchy marks the first time a woman is at the helm of the brand in its existence. It opens up a realm of opportunity and excitingly, a keen interest in returning to the brand’s roots and presenting the consumer with a vision of brand identity. One of the first dresses out referenced a Givenchy couture dress from 1961. 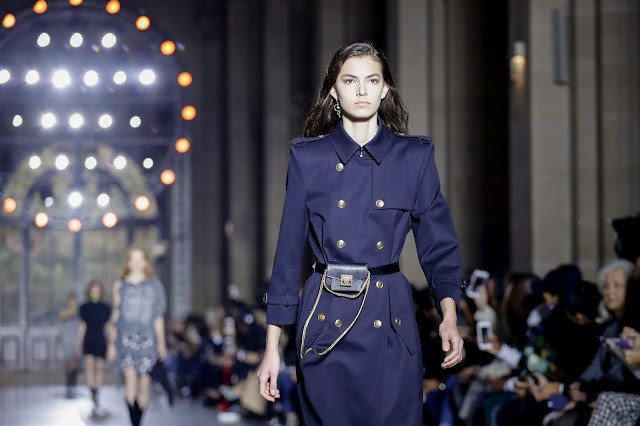 Many designers who have mined archives this season keep returning to the 1960s: Maria Grazia Chiuri at Dior, Anthony Vaccarello at Saint Laurent, Donatella Versace at Versace. A pertinent time in fashion, it is when the greats were operating and now more than ever fashion feels the need to recall that era, perhaps to reinvigorate itself. 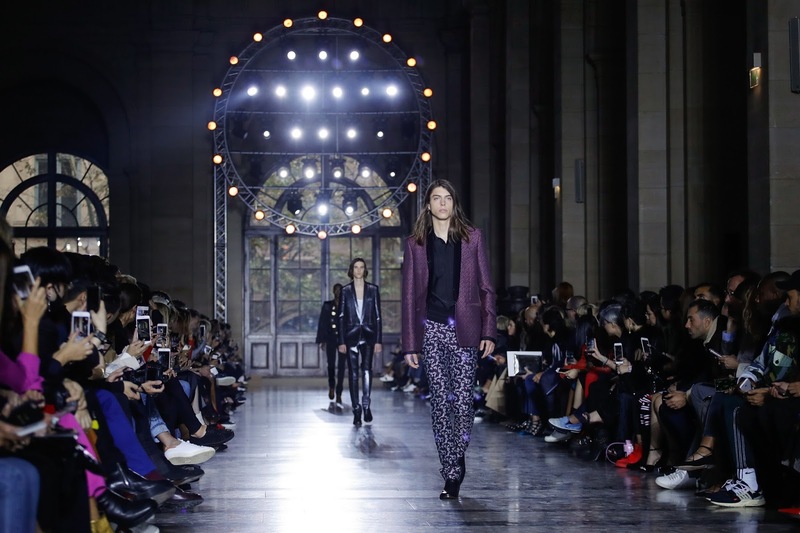 Waight Keller added her personal stamp to the look: it bore her signature swishy, feminine touch. There was an homage to the little black dress (a much finer example of one than at Lanvin) worn by Audrey Hepburn in Breakfast at Tiffany’s and a blouse from 1952. 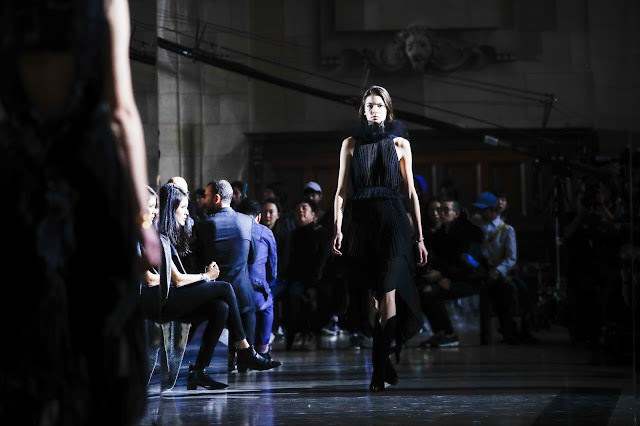 A womenswear designer by trade, one was slightly taken aback by the flatness of her designs. Expecting something mesmeric, one was met with clothing that valued practicality more than imagination. They will perform splendidly, but one would like to see Waight Keller sink her teeth into the archive and, as she did with the aforementioned looks, reinvent them for the modern age and also find new signatures to add to the house codes—which is what Tisci did with basketball t-shirts and the instantly recognisable Rottweiler print. 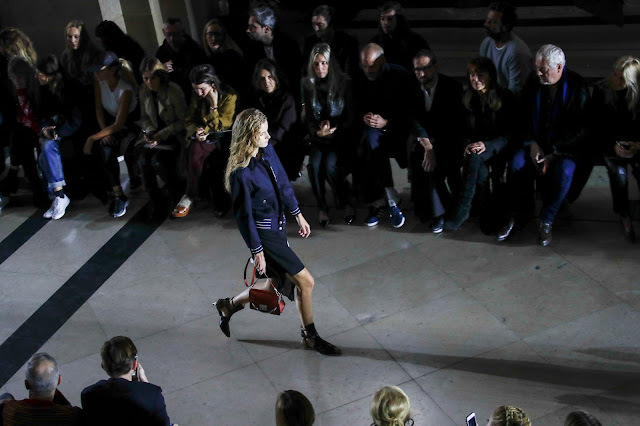 Her menswear output was more cohesive than the womenswear, which was rather surprising. She offered sharp blazers and trousers, an exceptional coat or three. Generally, it progressed the aesthetic in an interesting direction. 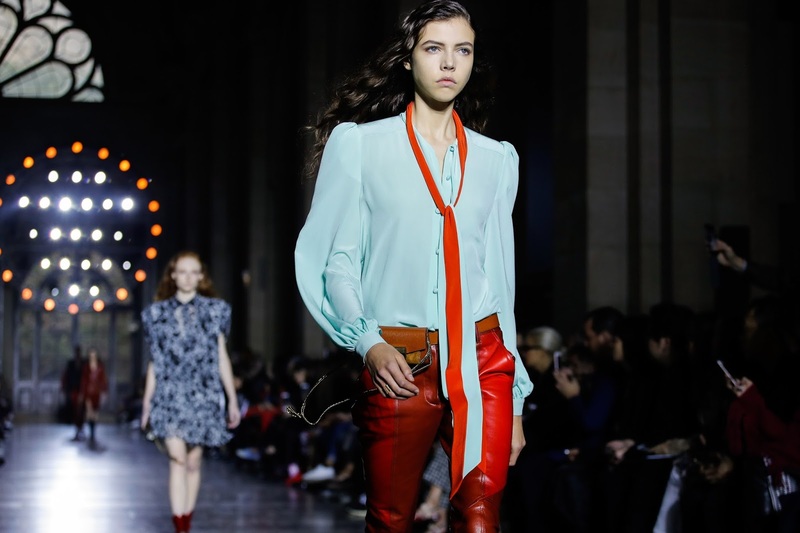 She deconstructed the polish of her predecessor and infused the collection with the same insouciant spirit that defined her days at Pringle of Scotland and Chloé. One observed Tisci’s menswear as a push and pull between formalwear and sportswear, but Waight Keller brought it to the street and it benefited from that. Undoubtedly, however, she doesn’t have the same proficiency for sportswear as Ricardo Tisci did. His understanding of American sportswear traits synthesises with the requisite romantic couture sensibilities of Givenchy. What she does bring to the table—something Tisci didn’t possess—is a clearer understanding of the female psyche. It wasn’t the debut to end all debuts—it was inoffensive, a lesson in subtle seduction, a reminder of the past and, one reckons, one of the better matches in the latest round of fashion musical chairs.